For only $99, enjoy a glass of champagne & canape on arrival with a sit down five-course chef’s tasting menu by Philip Johnson & head chef Gert Pretorius. Philip Johnson and his team of award-winning chefs research, design and prepare innovative seasonal menus using only the freshest, locally produced ingredients. With more than 20 years experience in delivering successful events and catering for our clients, both corporate and private, you are guaranteed an impressive event that will leave your guests raving. We are a team of professional and efficient event and catering coordinators, chefs, waiters, bar and cocktail specialists all working together to ensure your special event, large or small is an overwhelming success. 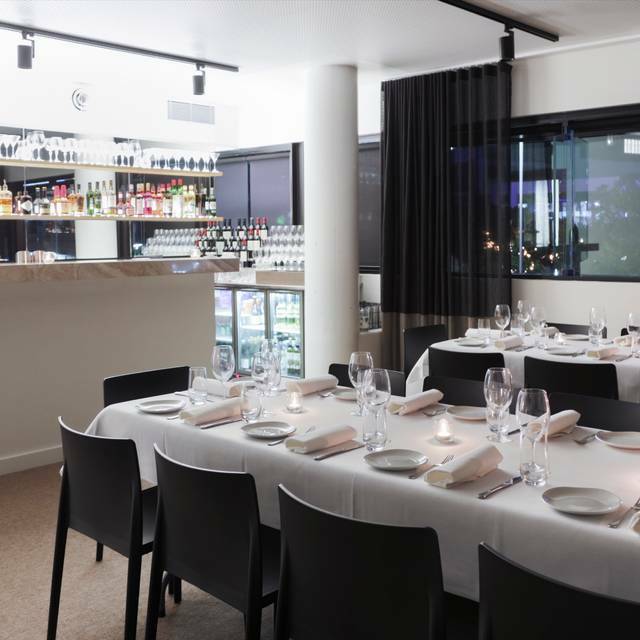 Enjoy an indulgent dining experience in one of Brisbane’s most exclusive private dining rooms. 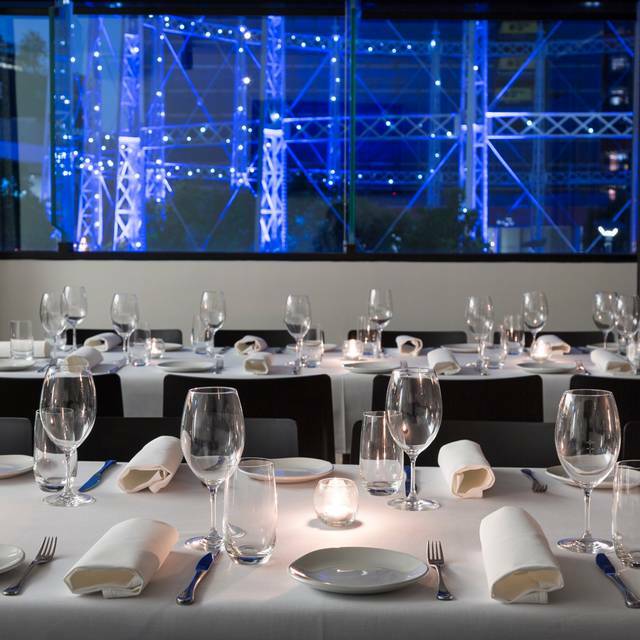 Enjoy a selection of dining options from Brisbane’s highly esteemed hatted restaurant including set menus and shared feasting platters. Also available for whole restaurant hire. 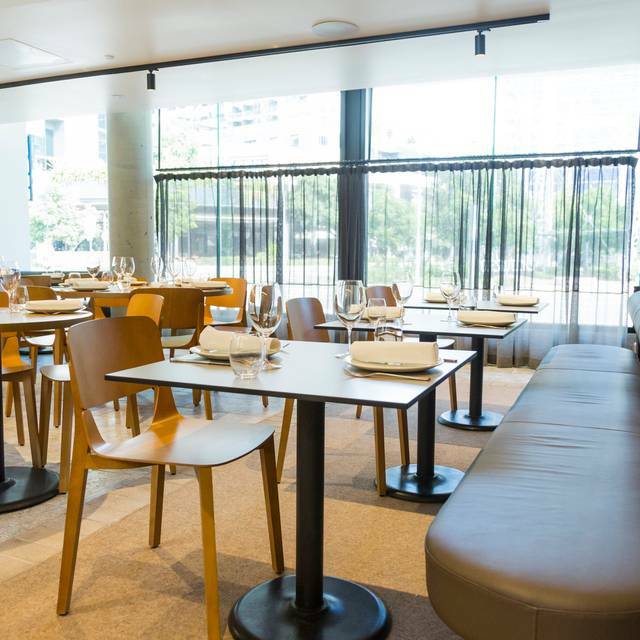 Nationally acclaimed and award winning e'cco Bistro was founded by one of Australia's most celebrated chefs, Philip Johnson, in Brisbane in 1995. 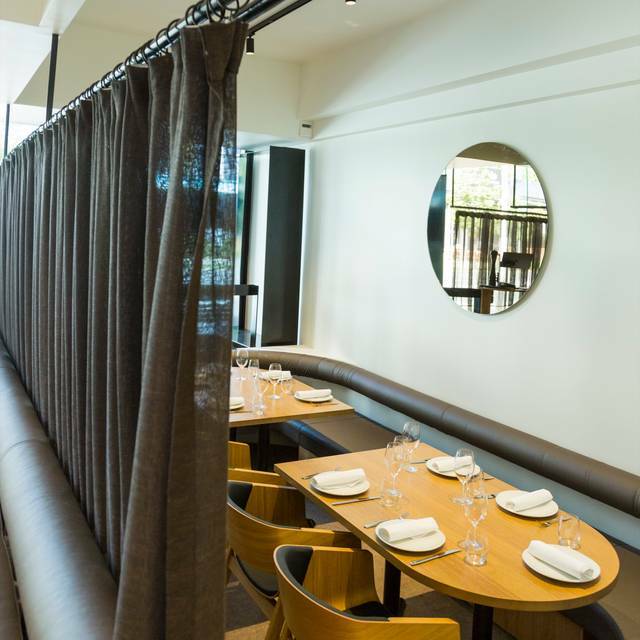 For the past 23 years, Philip and his team at his landmark bistro have taken a sure yet simple approach by serving unpretentious food to the delight of all diners alike, this has cemented e'cco's reputation in the culinary landscape. Having relocated from it's original location in Brisbane CBD to the fast growing inner-city residential mecca, Newstead, e'cco has been positioned to prosper for the next 23 years and beyond. As Philip says “We do as little as possible with the best ingredients available. 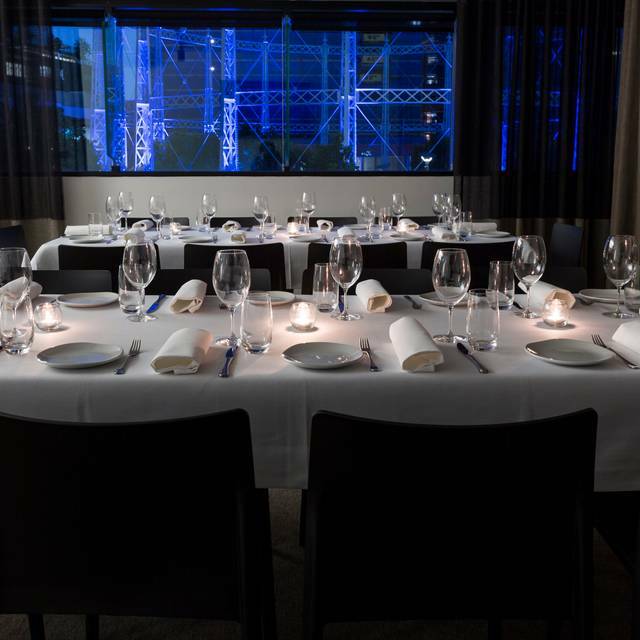 We had great table, with views of the Gasometer & hard working kitchen. Our meals were very flavourful and creative. Particularly enjoyed the Goat Pie, classic Mushrooms on Toast for starters and aged steak for main. The cauliflower side was very special. The wine list complemented our food. Great customer service and exceptional food....an amazing dining experience! Wonderful restaurant and staff. Food was delicious. They were understanding of our certain food allergies and were fully accomodating with our needs. Wine and cocktails lists are also fantastic. Would always recommend E’cco as a restaurant for celebrating a special event and date night. Never felt rushed. It was my partner birthday and they even did a Happy Birthday plate and sang him Happy Birthday. Look forward to returning. Fantastic Food and amazing service. We look forward to going again soon. Excellent service and incredible food. A dining experience I would recommend to anyone and most certainly would like to experience again! Thank you E'cco team. Fantastic meal with a group for a Birthday dinner special occasion. 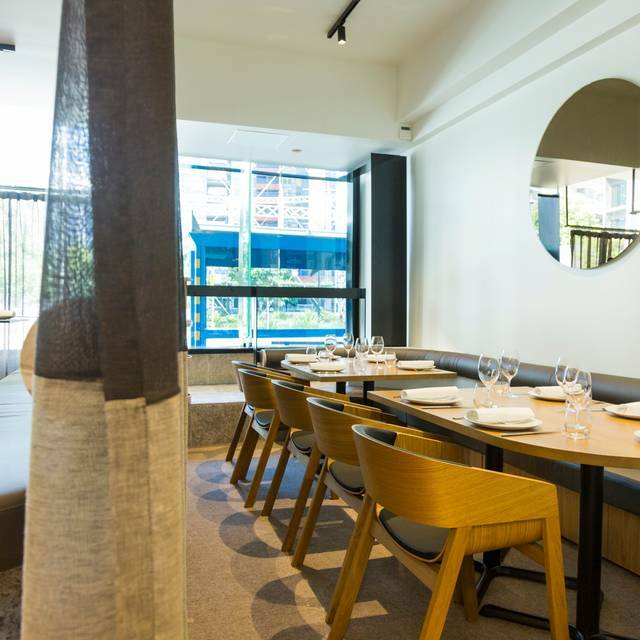 Would highly recommend to anyone as one of Brisbane's best restaurants. It was very busy the night we were there, (4 hrs from arrival to departure after all meals) but we were OK with that! Heaps of time to chat and catch up without being chased out. The only negative, was I didn't receive what I originally ordered, however it look so delicious I ate it anyways! Fantastic from when we walked through the door until we left. Amazing food, great service and really decent portion sizes. Highly recommend! Delicious food and wine on offer, couldn't rave enough about how positive my experience was. Thank you!!! Dined here early April for a Birthday dinner with my husband. Greeted at the door warmly by the lovely lady at the front door and were promptly seated. Our waiter was amazing, very knowledgeable with the menu and with the wines available. Was happy to assist with any questions we had in regards to menu and wine selection. Delicious food and great wine list. It was so hard to choose what to order we went with the tasting menu. Thoroughly recommend a visit. Fantastic as usual. Great, delicious, inventive food served with friendliness and pride by all the staff. Hi Shawn, thank you for taking the time to leave us such wonderful feedback, we appreciate it and hope to see you back again soon. Warm regards, e'cco bistro. Service was great, food was delicious, and the portion size was generous. The lunch special menu was particularly good value. Some of the best service I have had in a restaurant. Excellent menu and great food. Thank you for taking the time to leave us such wonderful feedback, we greatly appreciate it. Warm regards, e'cco bistro. Hello, thank you for taking the time to leave us such wonderful feedback and a high rating, we will pass your lovely comments onto Tom. We are delighted that you chose us as the location to celebrate your birthday. We hope to see you again soon. Warm regards, e'cco bistro. We haven't been to E'cco in a few years (I'm really not sure why!! ), and so discovering the new location was a treat. 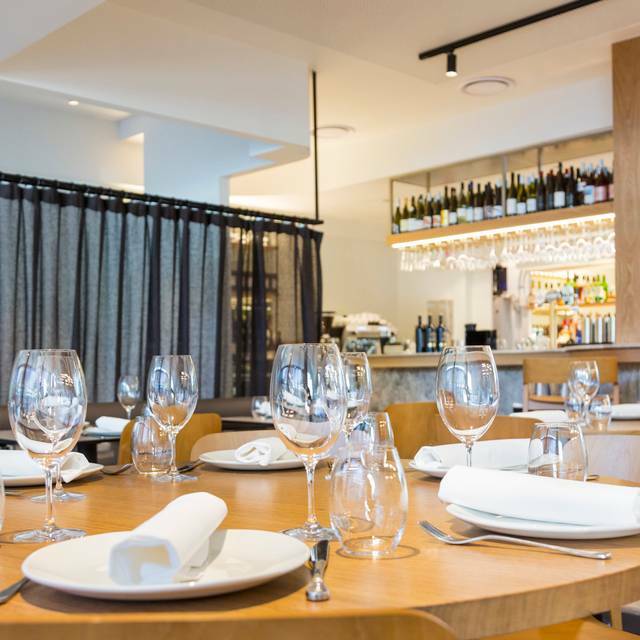 As always, the food was superb, the service was without fault, and on Tuesday we even had the opportunity to spend a few minutes chatting with a staff member about his time at E'cco, and about his home in Italy. Hello Eliza, thank you for taking the time to leave us such wonderful feedback, we greatly appreciate it and are delighted to hear you enjoyed your dining experience with us. We hope to see you back again soon. Warm regards, e'cco bistro. Looks like a good place for a drink as the bar was set up well but the scotch I ordered was not available. Good wine selection. The menu sounded good but the presentation let it down a bit. The table we were seated at was too noisy so had to move table. Lots of staff but they need better training. Hello Ross, thank you for leaving us feedback as it helps us improve wherever possible. We are glad to hear you enjoyed the wine selection. We are sorry to hear you feel our staff need more training, we have recently employed new staff who are currently undertaking training so we hope this doesn't deter you from giving us another go in the future. We are sorry to hear you felt the buzzing atmosphere was a bit too loud but we're glad to hear you were able to be moved. Warm regards, e'cco bistro. Hi John, thank you for taking the time to leave us such wonderful feedback, we appreciate it. Warm regards, e'cco bistro. One of Brisbane’s best. Had a lunch lovely Friday lunch.Will be back. Thank you for the wonderful feedback and 5 star rating Jasmine, we appreciate it! Warm regards, e'cco bistro. Hi John, thank you for taking the time to leave us feedback as it helps us improve wherever possible. We are sorry to hear you didn't enjoy the risotto as it is one of our most popular dishes. Were you able to raise your concerns with the manager at the time? Warm regards, e'cco bistro. A wonderful experience at my favourite restaurant. We live in rural Nsw, but visit Ecco on infrequent visits to Brisbane. Food is simply beautiful, service perfect, staff lovely. Great to meet Philip, you have been keeping up the high standards for years. Hope we can return. Always fantastic dining at E`cco, food is fantastic as is the service. We were really looking forward to visiting E'cco as we hadn't been to the new venue. Gnocchi entree was divine. Should have had it as a main. Main course of john dory, beetroot and pumpkin was okay - we both found the pumpkin 'smear' very watery. Dessert of tiramisu was very disappointing, although presentation was good. There was an indistinguishable flavour of a waxy disc on the top - unnecessary and very unpleasant to eat. The coffee syrup in the sponge/biscuit layer was very thin and watery. Not one of the best tiramisu I've ever had. The deconstructed cheesecake wasn't a hit either, although the flavours were good. The wait staff lacked the pleasant but discreet balance of the old brigade. I've always liked the top quality produce and unadulterated food that E'cco served. I won't go back in a hurry to this new one though. Perhaps it was my choice, but my main course didn't live up to the high standards that I have experienced in past visits. Lunch at E'cco was superb! The food was amazing. I will definitely be coming back! Not what it used to be. Sides not served with mains and service very average. Absolutely beautiful! The food was lovely and some of the best service we have received in Brisbane in a long time! Amazing place, food was divine, atmosphere great and very lovely staff! 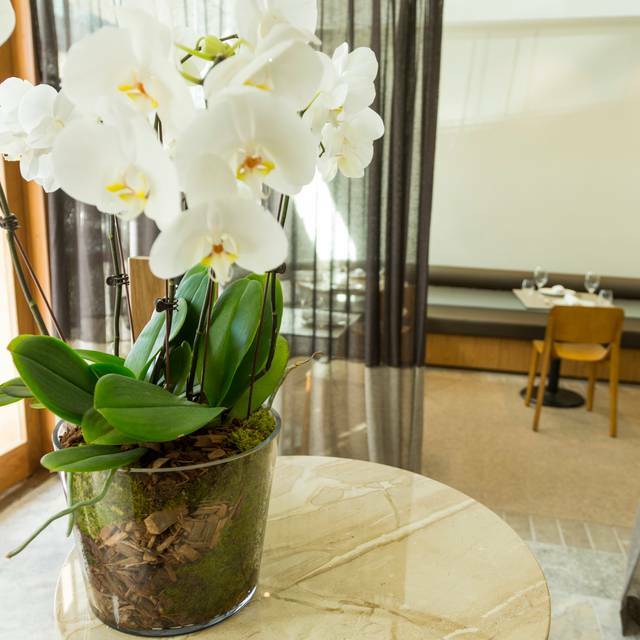 The "new" Ecco Bistro carries over seamlessly the ambiance and dining experience from the original. Food quality exceptional. Philip himself present in the kitchen for the evening showing his continuing passion for his establishment. Simple food well done is the motto and it shows. We enjoyed our dining experience at Ecco however we were a little disappointed with the service a few times i.e we ordered a 2nd serve of bread and it took too long to arrive (even after we had asked two wait staff to check on the bread. Staff weren't diligent in topping up our water - we waited too long for water on arrival. The steak dishes were lacking an accompanying sauce/jus. Straw potatoes didn't appeal. Very pleased with our table location given we were celebrating 2 birthdays and we wouldn't have enjoyed the overcrowded main dining area. Exciting menu - we will happily revisit. A great experience. 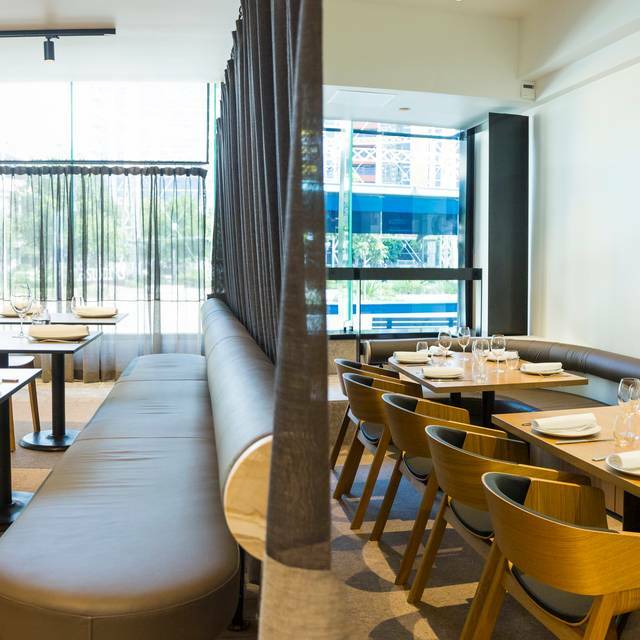 While preferred the ambience of the previous location closer to Brisbane, this new location is far more accessible. Serving was rather slow and perhaps reflects the relatively small kithcn the chefs work in. That said, well priced and great quality food. Spare ribs melted in the mouth. Exceptional food and service. Definitely recommend. We absolutely loved it! The food was delicious and the service superb! Its an interesting venue, not really classic sophistication more urban chic. Nice menu with variery and multiple price points. Great wine selection, good service. Just a very high price point on the a la carte. Hopefully good for the tradional executive lunch break. Not for romance. Great to see Phillip Johnson back in the kitchen- definitely gave the food a needed lift. Would recommend. Excellent way to celebrate Valentine's Day. Fast becoming our favourite restaurant. I have been a long time customer and a big fan of Ecco, however right now I think MOR is an apt description of where this restaurant sits in the market. It needs to go back to its roots, which was about inventiveness & excellence.